Seventy years ago this week an event of enormous significance took place. 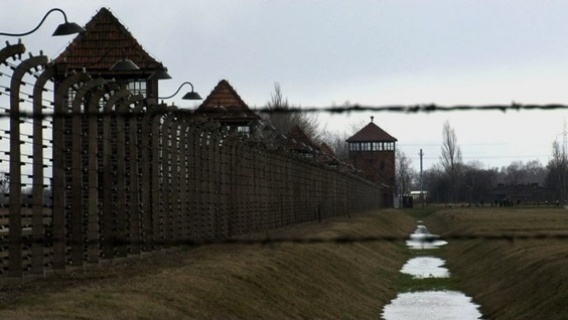 The first Jews from outside Poland were deported to Auschwitz. It’s significant not just because these Jews were from another European country – the first of many – but because of the deal under which they were sent. It was a shocking arrangement – one which reminds us that the Holocaust was far more than a solely ‘German’ crime. These Jews came from the neighbouring country of Slovakia, and were only deported to Auschwitz after high level meetings between the Germans and the Slovaks the previous month. In February 1942 the Prime Minister of Slovakia, Vojtech Tuka had met with Major Dieter Wisliceny of the SS. After further reflection in Berlin, a deal was finally done whereby the Slovaks agreed to pay the Germans 500 Reichsmarks for every Jew deported. But on condition that the Germans guaranteed that these Jews would ‘never come back’. That way the Slovaks knew that they could steal the property of the Jews with impunity. Silvia Vesela was transported with thousands of other Slovak Jews to Auschwitz 70 years ago. Today, as well as their suffering, let’s also remember the negotiations which sent them there. And a deal which meant that a European state, Slovakia, ‘paid’ to have its Jews taken away.